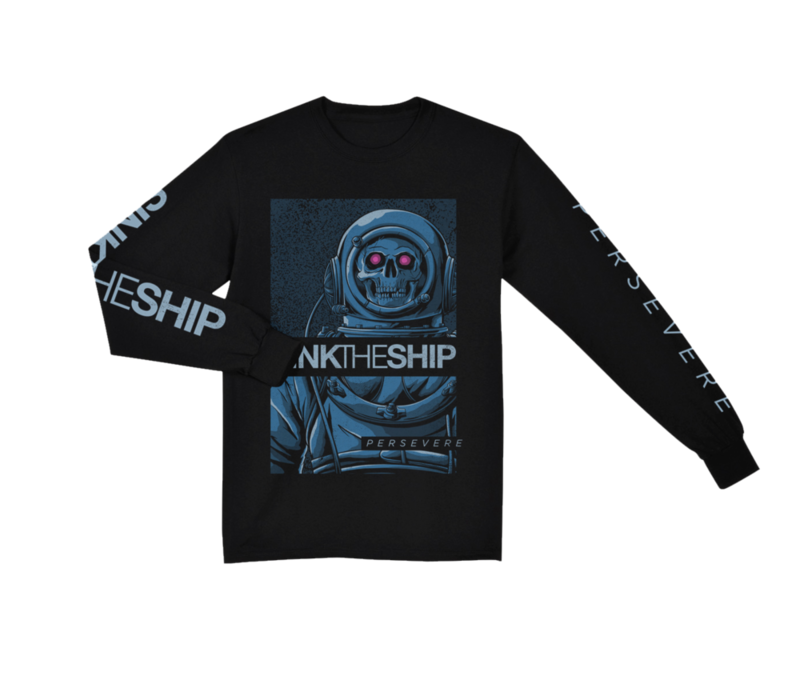 SINK THE SHIP is a new band hailing from Cleveland, OH for fans of A Skylit Drive, The Word Alive, Falling In Reverse, and A Day To Remember. Being that I work with all those bands, it only made sense to work with STS. We created an official logo that fits in with their music style and contemporaries, as well as merchandise designs, & multiple singles. 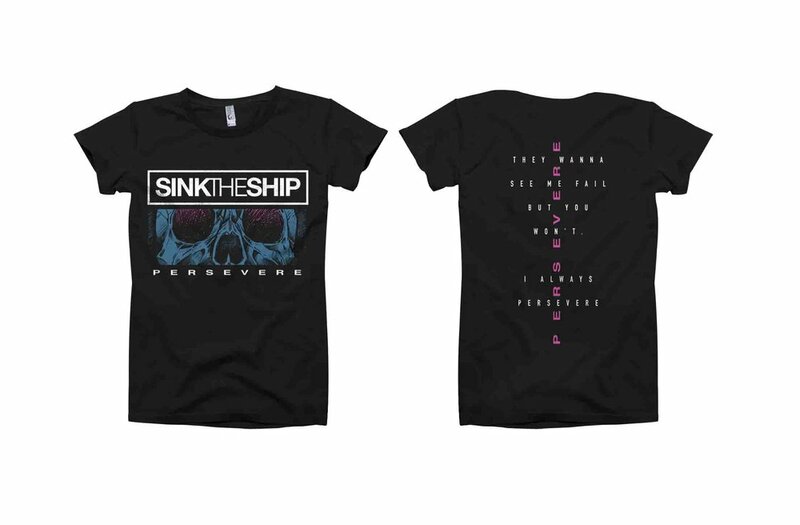 I also created their debut album concepts, artwork and layout for their new record "PERSEVERE" released via Sharptone Records & Nuclear Blast. You'll find there is a consistent cohesive style between the entire brand. Here's a shot of the original sketch for the cover of SINK THE SWIM - " PERSEVERE".